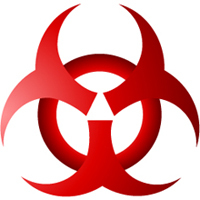 Since 1993, annual training on bloodborne pathogens has been required for all workplaces where an exposure to bloodborne pathogens could happen. With heightened awareness of potential exposure to bloodborne diseases, today’s employees are highly motivated to learn the critical steps to protecting themselves. One of our most popular programs, this training will replace fear and misconceptions with hands-on, practical instruction. This program teaches your employees how to calmly and effectively protect themselves and others from bloodborne pathogens. .